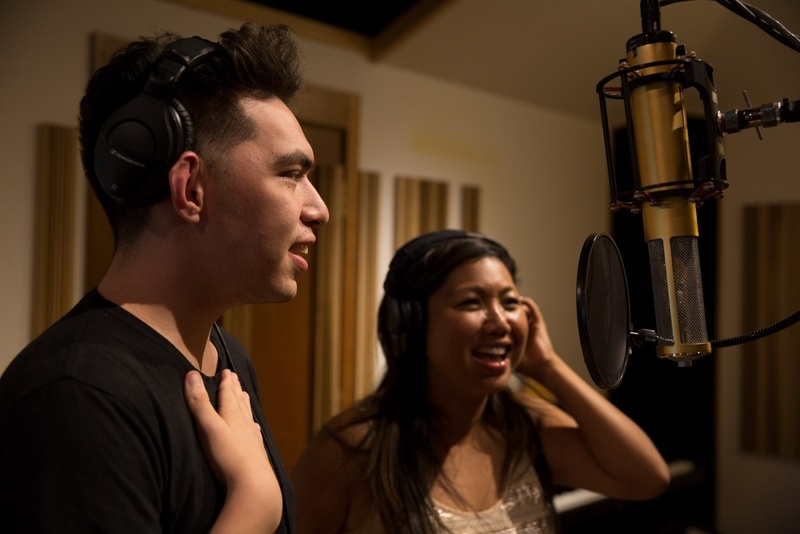 Evan Khay and Faith Rivera recording a track during the 2018 Creative Lab Hawaii Music Immersive program. CLH Music Immersive is a five-day intensive program focuses on providing participants with the opportunity to co-write and produce music for specific film or TV projects with a team of professional mentors. Following the completion of the program, attendees will receive year-round mentoring support, and three of the most promising attendees will be selected by the mentors to participate in networking opportunities with music industry leaders in Los Angeles. In addition to composing songs, participants will learn the finer points of music licensing, publishing, intellectual property (IP) protection, and other aspects of the business from industry experts.